As explained in the Client Helper post, one of the biggest challenges at Advicefront was always to keep our collaborative workflow simple and flexible enough while still addressing the requirements of advice services. Our onboarding was one of these challenges. The firsts versions were overloaded with a ton of financial terms and generic concepts. Advisers' clients were getting confused and needed help from their advisers to start the process. 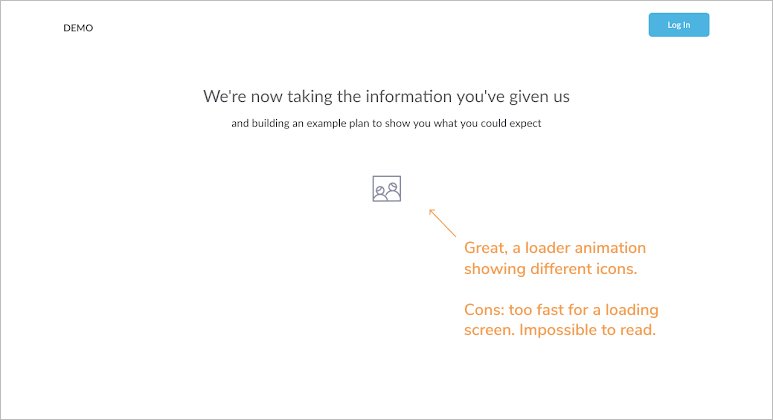 Despite the financial jargon that let potential users scared, we noticed some misleading steps along our onboarding – mostly due to small fixes from time to time – leading to a broken experience. Possibly, didn't make use of empty states. Advisers sent a link of their online page to start the process. 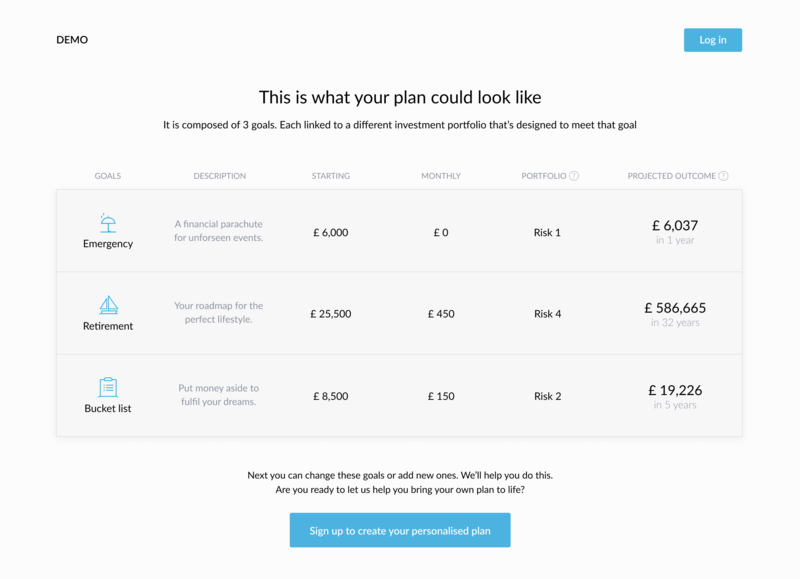 Clients landed on a page to start their financial 'plan' by completing some blank spaces. 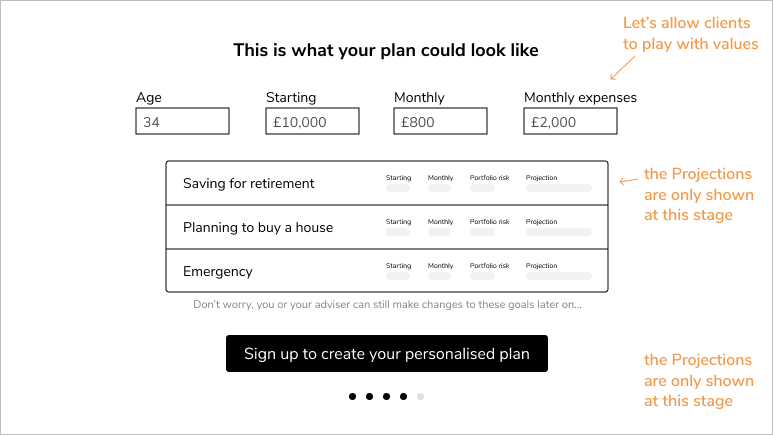 Land up on a screen with a "what your plan could look like" example. Land on a screen with 3 steps, read-only. 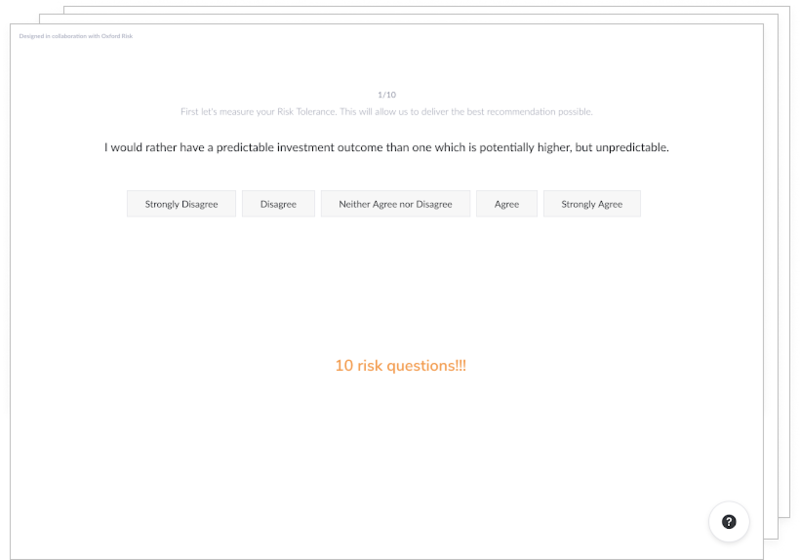 Answer a 10 questions risk questionnaire. 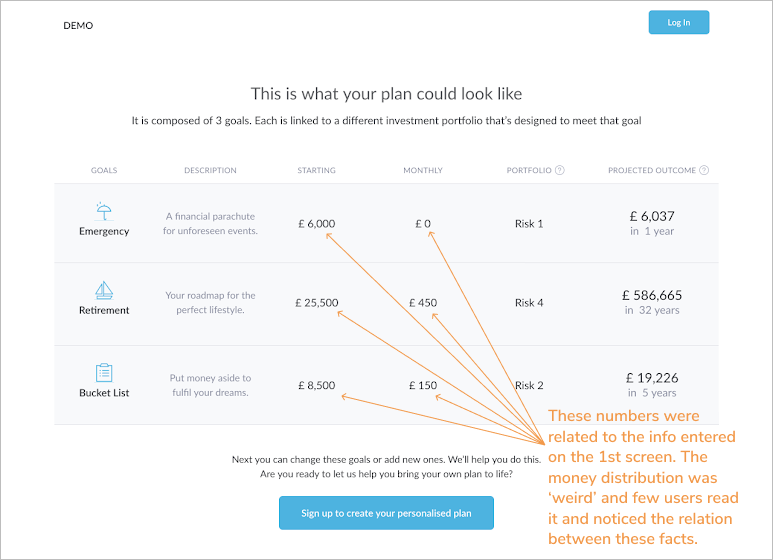 Land on screen with an 'financial plan' and inside a 3 steps flow, where your next step is to 'Define your life goals'. One step was already accomplished, the risk profile step. One positive aspect of the flow: users didn't need to open the sign-up email sent to proceed. This work was an individual approach to a known problem that needed fixing. It was later shared with the team. My time at Advicefront ended before the designs made it to the high-fidelity UI prototypes. I believed this was valuable to the team regardless of my presence in the company. No funnel numbers to help the problem analysis. Also, we had limited access to advisers' feedback from his clients' experience. My strategy consisted in not worrying too much about styling, the challenge was to deliver a consistent solution to onboard clients without re-inventing the wheel. I went over each onboarding screen and took notes on what could be changed or improved. Keep in mind: the client onboarding purpose was to enter the application with a draft plan of their life goals and risk profiling well defined. The last step was completing their financial profile and submitting all the information. The client starts the onboarding and this is the first screen he sees. Mainly data gathering – well balanced I believe. The sentences appear one at a time and the language is friendly. 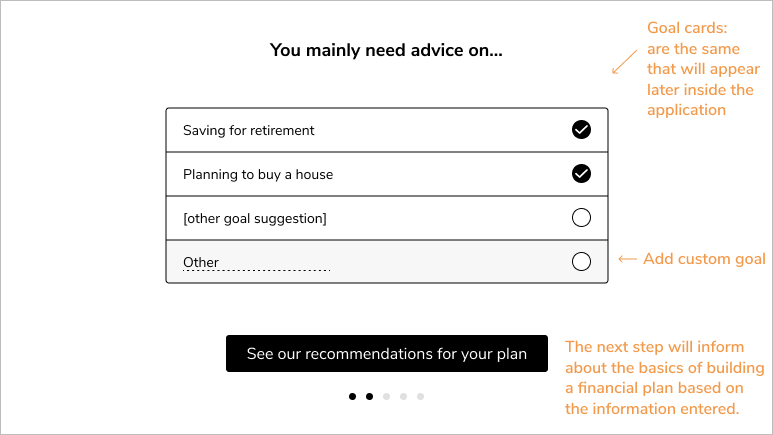 In the last form field we ask for the main reason they need financial advice. In this example 'planning to buy a house'. This turned out to be a big problem at the end of the flow. Cool, we are using the data to build an example plan. I believe it's good (too fast for that amount of text) but that's an easy fix. Things begin to complicate here. 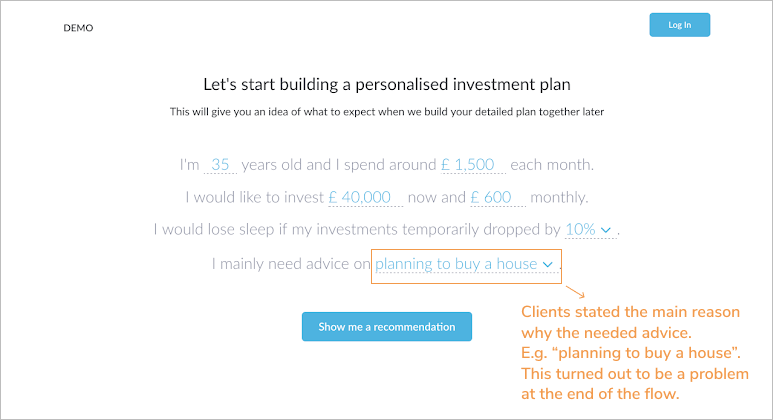 Most of clients don't get this, they usually don't read all the text explaining 'this is just an example plan'. They try to interact with the cards right away, trying to change values..."and why 3 goals? why those goals??" Another problem with this screen is showing numbers that few understand as being the result of the starting and monthly investments they defined early on. The money appears distributed differently throughout goals (this has a financial reason but we decided to hide it in the past). 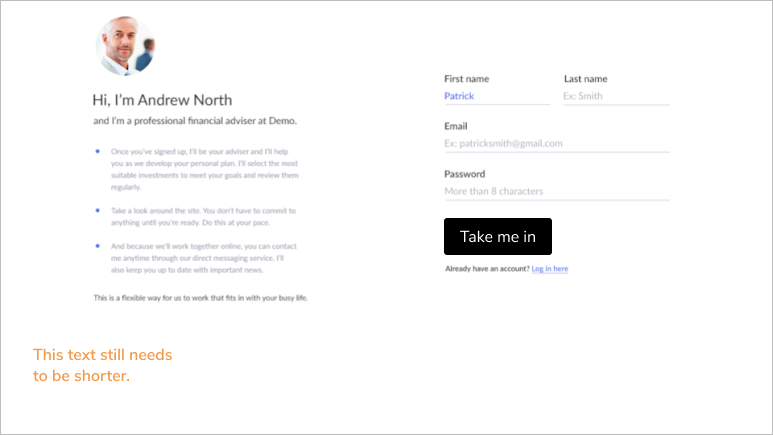 Next, they'll land on the sign-up screen, where they "meet" their financial adviser (they might know the adviser already, depends if we're talking about cold or warm leads). I believe we have too much info again, specially next to a sign-up form. It might be important to explain things but sometimes the key is to keep it "short beats good" – as John Saito explains on this Intercom blog post. "Users or readers on the web don’t technically read word for word. (...) Sometimes you orally want to say a lot of things, but if you say too much, they may not read anything." I completely failed this screen. Again "short beats good", users want to progress into the application and they probably won't read all the text and won't remember all the steps. 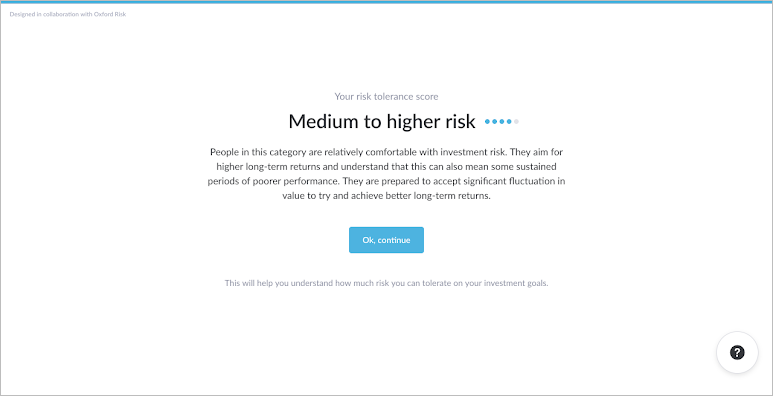 Next... yeah, a risk questionnaire (with a lot of questions... the experience was good and fast though). 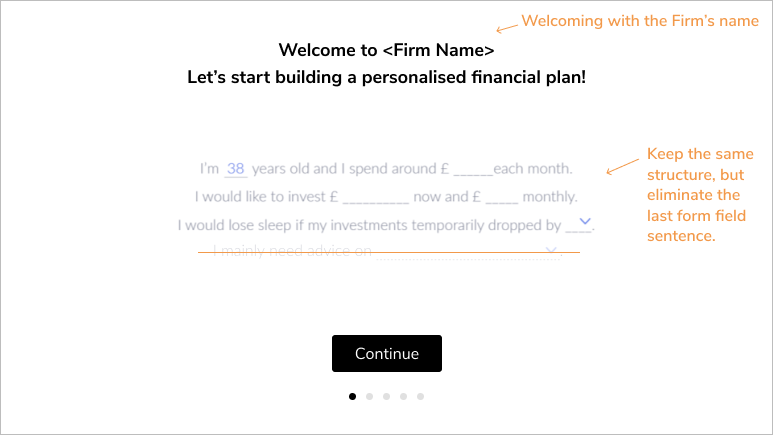 Also worth considering that financial advisers won't start building their clients' plans without the risk profile completed (the FCA requires them to do this too). (After risk questions): Ok, they get the risk tolerance score and then they can start building a draft plan with a better fit. They finally enter the application – and they get this! The thing that most confuses clients at this stage is not seeing nothing related to the main reason they needed advice (remember this? 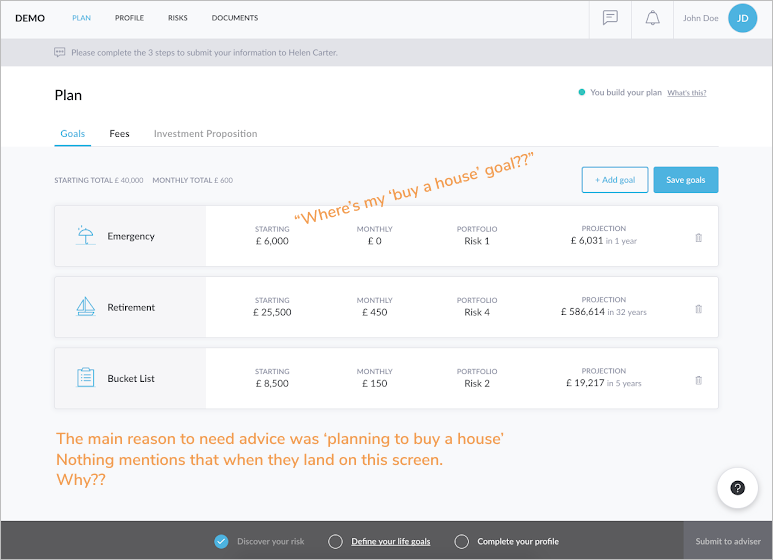 in this example the client has chosen "planning to buy a house") and none of the goals says "house". We show "bucket list", "retirement" and "emergency". or, we allowed them to choose their goals before they signed up. I went with the 2nd option, it solved most of the other problems. I never made it to the high-fidelity UI, but the next screens demonstrate what I believed to be a much clear onboarding for the client. The clients had all the steps they needed to progress and get value out of our application. Simple changes can make a bigger difference. I've removed the last input where we were asking for the main reason they need advice. A whole new screen. 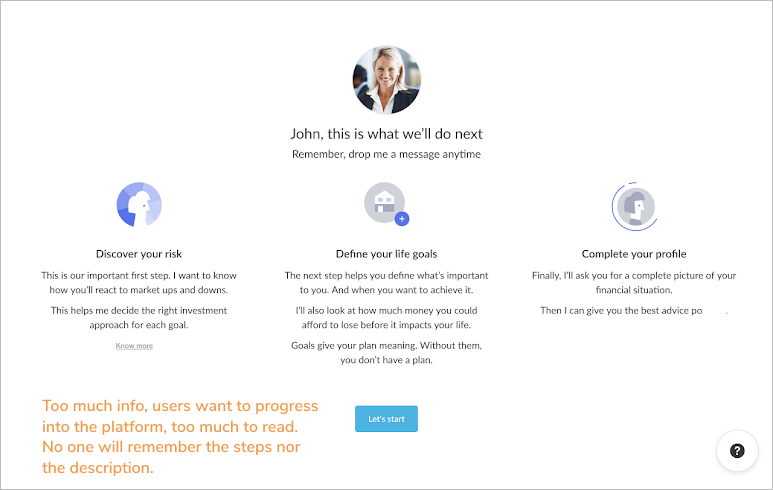 I wanted to focus on the main reason the client needed advice by introducing the goal cards. 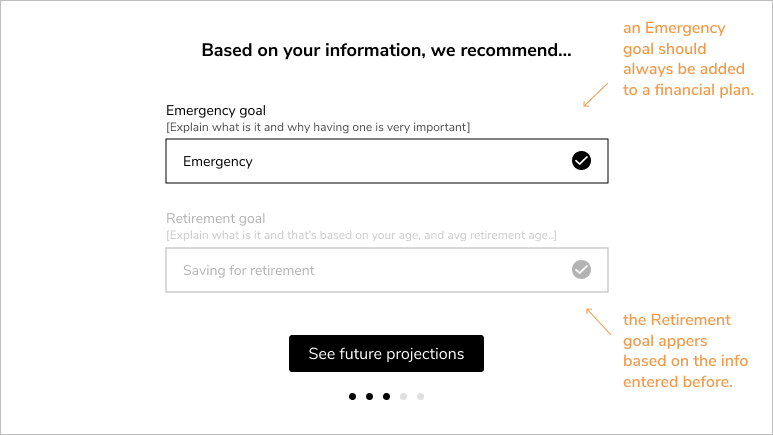 Clients could choose from several goals or add custom ones. Only at this phase, the client would get our recommendations. The foundations of a good financial plan should always include an Emergency goal and a Retirement goal (if that's not your first priority). Up to the last screen before the sign up, the clients would see the investment projections of their goals. It would be also a good idea to let them change values and play with the outcomes. 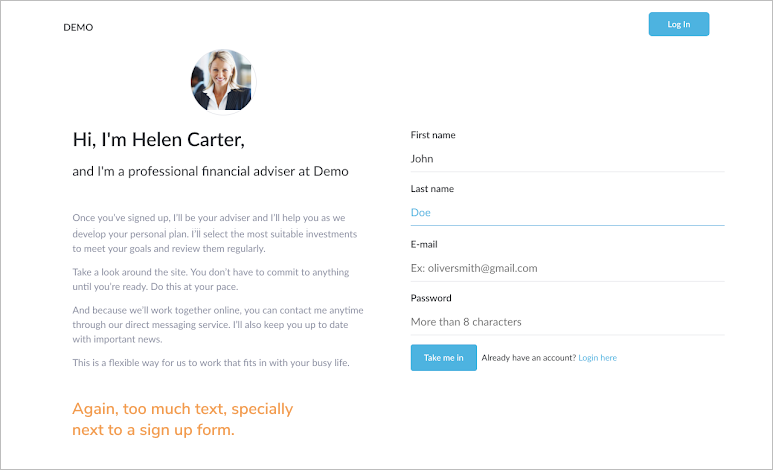 And finally the sign up screen would show up. 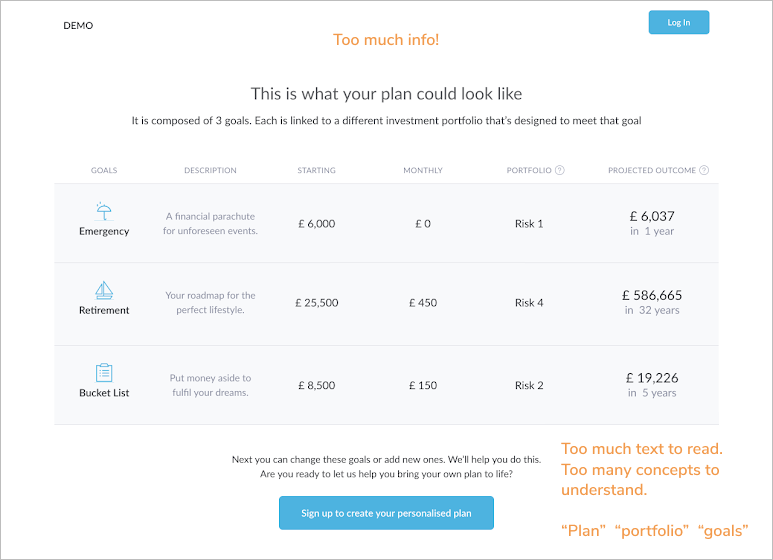 The rest of the screens would be similar with minor changes to the copy, and then clients would enter the application and find the exact same plan they've chosen before. And, would be able to envision what the adviser could help them achieve.